Passive house is no longer just the preserve of the self-builder. 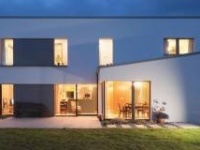 With over 300 passive houses built to date in multi unit-schemes and a thousand more on the way – along with major non-domestic builds – increasing numbers of British & Irish developers are going passive. But how will the sector cope with upscaling, and will the most cost-conscious developers be attracted to the standard? 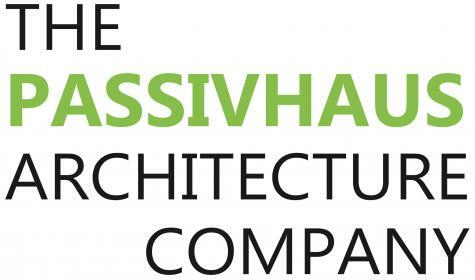 This year’s sell-out UK Passivhaus Conference, held in October 2013, took as its theme ‘Passive House at Scale” – and there was palpable excitement about how many large schemes were coming through. The opening talk was on the 53-apartment mixed-use Chester Balmore development built for Camden Council by Willmott Dixon (with design input from Rick Mather Architects and Architype), now nearing completion. Also featured was Sustainable by Design’s Enerphit refurbishment at Gallions Housing Association’s Parkview Hub – a five-storey concrete slab block containing 18 maisonettes, well under way. Delegates heard about Architype’s proposed 150-home ‘Archihaus’ development in Herefordshire, which now has planning permission, and hints of another 100+ home speculative development to go ahead using the Beattie Passive system. Completed schemes included the 41-home Lancaster Co-housing scheme, and Parsons and Whittley's two passive house developments (of 12 & 14 units) for Hastoe Housing Association – plus the news that Hastoe is building four more schemes. Elsewhere, many other large passive house developments have been completed or are underway or planned in the UK and Ireland, including a good number of social housing schemes, and seven primary schools so far. While Ireland started in passive house before the UK and has gained some significant certified projects – such as a Tesco supermarket in Co Waterford and UCD student halls, both built in 2008 – larger passive projects have been few and far between since the recession. But this may be due to the unprecedented decline in construction activity in Ireland – where virtually no new housing schemes of any size have gone ahead in recent years, other than one-off self builds – rather than a lack of appetite for passive house. 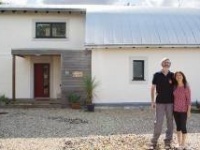 How does passive house work at a scale larger than the one-off private house? There are definite advantages. The most obvious, in the case of bigger single buildings and terraces, is an advantageous surface-to-floor area ratio. A good form factor means it is simpler to achieve the required energy target – which can translate into more modest insulation values, or slightly cheaper windows or other components – or of course, even better performance. There can be economies of scale at the design stage too. A repeated detail gets great value out of the design input – so pouring maximum time and attention into optimising details in a larger build is well worthwhile. A great detail generally costs little or no more to build, but reduces the pressure to specify expensive high-performance components elsewhere. Construction may also be honed, and speeded up, through repetition. Economies of scale can make it possible to consider passive house or Enerphit level retrofits that might otherwise appear uneconomic. (As Joseph Little told the Asssociation of Ireland’s See the Light conference in Dublin in October, “Enerphit is not cheap unless delivered in bulk”). However, there are sometimes complications with getting a larger single building to the passive house standard. Additional energy-hungry services may have to be included, such as lifts, catering kitchens or sprinkler systems. Most significant perhaps is the fact that you cannot always construct a bigger building on an insulated slab, because it may be too heavy. Sometimes it is necessary to confine insulation to a “skirt” round the foundations, though on occasion ingenious solutions have been deployed, such as the Interserve build at Richmond Hill Primary School in Leeds where “high-strength insulation normally used in industrial process plant installations” was used between the foundation piles and the steel frame. 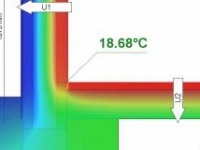 Do big passive house builds face extra challenges on site? One issue mentioned regularly is the need for good communication, and, ideally, continuity of staff. This can be harder to achieve where a big, mainstream contractor follows conventional practice and subcontracts on price, with frequent reviews and frequent changes of personnel. Larger firms can overcome this: at Thomas Vale Construction for instance, they have maintained continuity of both in-house staff and sub contractors through several passive house builds; Willmott Dixon tackled this at Chester Balmore by running an induction procedure for everyone who came on site. Several of the latest large passive house builds have opted for an offsite approach. Construction has just begun on a 51-unit development for Circle Housing in Rainham, on the Thames Estuary. The four blocks are being built by Climate Energy Homes using an offsite construction system. Prefabrication was also used to build the 23-home Sampson Close development for Orbit Housing, as is planned with Archihaus, in a factory to be established for the purpose. And prefabrication is also being used to form the cladding as part of the Enerphit retrofit at the Parkview Hub. The shortened time on site with prefabrication is a bonus – especially worthwhile in a retrofit where, as with the Parkview Hub, the job is taking place with occupants still in place. Despite some economies of scale, for larger passive house projects it is still common to hear there is a cost premium of something like 8% – much the same as with smaller builds. Not everyone thinks this is necessary: Architype (for both their schools and their Archihaus houses); Beattie Passive (houses built to their system, single or multiple) and Climate Energy (with their off-site build system) all say they can build passive house at or below conventional costs. There could be less direct – but still highly financially worthwhile – benefits. Interserve compared sickness absences in the last year at their previous offices, with the first year at the new ones, and found a 13% decrease in sick leave. “An improvement like that is worth a lot of money to us,” Walkerdine pointed out. While this is of course a single result, it echoes anecdotal reports from occupants of residential passive houses. There are other good reasons to commission to passive house that also translate into a good business case, including for landlords who will not be paying the bills themselves. For social landlords, helping protect residents from fuel poverty is always an important part of their corporate mission; this motivation has led to the growing movement by social landlords in the UK to look beyond the statutory standards, and build and refurbish to passive house. Neighbouring Broadland Housing Group are planning a 250-unit passive house apartment development, and chief executive Michael Newey believes social landlords should be allowed to charge higher rents to help finance more energy efficient homes – and if Hastoe’s experience is repeated, everyone could be better off that way. Perhaps unsurprisingly, in the commercial sector most interest to date “has come from PLCs who will be occupying their own building,” says John Walkerdine. Might commercial landlords ever follow suit? They might, if the benefit from lower running costs here can also be shared with landlords via higher rents. Interserve moved from “grim” former barracks buildings whose running costs were higher than the rent, into the passive house offices that they commissioned and constructed on a business park. The building was paid for, and is owned by, the park’s developer, Raynsway properties. “We told the developer we would be able to pay a higher rent, because our running costs would be so much lower – we are now paying out less overall, even though we are now in a beautiful new building with higher rent. Are valuations getting in the way? Despite some powerful financial arguments, a client who wants to build to passive house at scale may still need to justify the expense in relation to the external valuation – and currently, these tend to be no higher than for a conventional building. This may be at least in part because passive house has barely been tested on the open market. Where it has (mainly with residential units), the buildings have sold well – though not necessarily at a price premium. 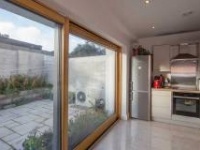 In London, some of the first passive homes available for private buyers have been in mixed developments built by social landlords (the profit from the private sales goes towards building the low energy affordable housing). Octavia Living, part of Octavia Housing, has built 29 passive homes in West London, of which eight were for sale on the open market. These houses have all been sold and occupied, reports Sue Dance, Octavia’s head of sales and marketing: “For some buyers, the passive house features were the first attraction; for others it was the location, the finish, and the fact they have parking spaces! It was about 50:50. The reaction in Camden has been similarly positive, with five of the first 15 Chester Balmore apartments already sold, as Passive House Plus went to press – only a couple of weeks after they were released, and only with local marketing. David Jubb of agent Savills was sure that passive house was an ingredient drawing people to the homes; not least because this was the same fortnight that saw a controversial round of energy price rises in the UK. Despite selling prices being comparable with non-passive properties, both sets of homes are making a profit for the developer (though London house prices might make this easier here than elsewhere). Irish developer Joe McGowan shares this view and is backing passive house in a speculative development in North Wales. McGowan recently gained planning permission on a 12.5 acre site in Abergele, and has started on site with a 140-unit passive house scheme that will use Irish manufacturer MBC Timber Frame’s system. “We’ll have show houses up by March,” says McGowan, adding that the scheme will consist of “conventional homes” released on to the open market, at the lower end of the market on price. While McGowan – who plans to have the homes passive house certified – agrees that the market may be willing to pay a premium for low energy housing, he retains only cautious optimism about the broader economic context. “Apart from London, the recovery has been slow,” he says. With the first big open market passive house housing developments now anticipated, all eyes will be on their commercial success. Despite the apparent reluctance of the UK government to follow Ireland’s example and set good performance standards for building, it may be that as word spreads, more corporate bodies, more homebuyers, and more tenants in all sectors will seek the savings passive house offers, all the same. It will be interesting to see if, and how quickly, developers respond. In a far from exhaustive list, we’ve compiled this list of Irish & UK passive projects including multi-unit housing schemes and non-domestic buildings, but excluding one and two unit housing developments. Taking UK housing alone, our count includes over 300 units built and another 1000 planned or mid construction. Bryce Lodge, Horsham: 12 houses on a development of 38, built by Osborne for Saxon Weald, designed by MH architects. 14 houses in Ditchingham, Norfolk & 12 houses at Wimbish, Essex by Hastoe & Parsons & Whittley Architects. Dungannon, Northern Ireland: Five houses for Oaklee Homes Group, designed by Kennedy Fitzgerald Architects. 4 homes at Fulmodeston, Norfolk, by MOLE Architects for Broadland Housing Association. Sampson Close, Coventry: 18 apartments & 5 houses, designed by Baily Garner for Orbit Homes. 4 houses for Fife Housing Association using Beattie Passive system. Hastoe has 100 units planned, including 14 homes at Hatfield Heath, Essex; 3 rental units at Horseheath, Cambridgeshire; 15 homes at Outwell, Norfolk; & 6 units at Burnham Overy Staithe, Norfolk. Dormont Estate, Lockerbie: Eight private rented houses designed by White Hill Design Studio. Grange Lough, Rosslare, Co Wexford: 8 units – 1 built so far, by Michael Bennett & Sons. Cambridge K1 Co-housing community: plans for 36 homes. Beattie Passive system licenced to a developer on a 100+ unit scheme in Sheffield, & have created Beattie Passive Norse, a joint venture with a commercial offshoot of Norfolk County Council offering low cost passive houses, including social (such as 12 houses with Great Yarmouth Borough Council and are currently in discussion to deliver a substantial social housing scheme in Nottingham). 250 apartments, Norwich, planned by Broadland Housing Association. 140-unit development in Abergele, north Wales by Joe McGowan. Sulgrave Gardens, London: 30 units, by Cartwright Pickard architects for Octavia Housing. 41 unit Lancaster Cohousing development, Lancashire, built by Whittle Construction, designed by Eco Arc. Kingstone, Hereford: 150 units by Archihaus. Chester Balmore, London: 53 units. Built by Willmott Dixon, designed by Rick Mather Architects for Camden Council. 51 units at Rainham, Essex by Circle Housing Group & Climate Energy Homes. 4 units, Islington, London, including 3 Enerphits and one passive new build. Designed by bere:architects, with potential for larger scale roll out across Islington Council's existing stock. Roebuck Castle,Dublin: 130 student rooms, 3,000 sq m. Designed by Kavanagh Tuite Architects. 23-bedroom extension to Glenashling nursing home, Co Kildare, built by MDY Construction. 93 units for a UK housing association by Accredited Passivhaus Design. Manchester: 32 unit Enerphit for Eastland Homes, design by 2e. Portsmouth: 107 unit Enerphit for Portsmouth City Council, designed by ECD Architects. Parkview Hub, London: 18 unit Enerphit for Gallions Housing Association by Sustainable By Design. Canolfan Hygdden office and training centre in Machynlleth by JPW. 500 sq m Viking House in Dover built by WCR Property. 4000 sq m Tesco supermarket in Tramore, Co Waterford. Montgomery School, Exeter: designed by NPS South West, built by BAM; Oakmeadow & Bushbury Hill primary schools, Wolverhampton, designed by Architype & built by Thomas Vale); Leeds City Council’s Architype-designed Swillington School and Space Architecture-designed Richmond Hill school, both constructed by Interserve. Department of Education primary schools in Powerscourt, Co Wicklow and Moynalty, Co Meath, completed in 2012. Wilkinson primary school, Wolverhampton designed by Architype & built by Thomas Vale. Hadlow rural regeneration centre, designed by James Anwyl, built by Eurobuild. CREST Pavilion at South West College, Enniskillen: Designed by Paul McAlister Architects Ltd.
UEA Enterprise Centre, Norwich: Designed by Architype, built by Morgan Sindall. The Simmonds Mills designed Centre for Disability Studies, Essex & Green Base for Helena Housing, St Helens, Merseyside. County archive building in Hereford, built by Kier Construction, designed by Architype. 1114 sq m church in Sheffield for Christ Church Central, designed by Architype. Savoy Pier, a floating passive house building for Woods River Cruises, London, by Bere: Architects.